No. 1 English Springer Spaniel in Australia 1999, 2000 & 2001. 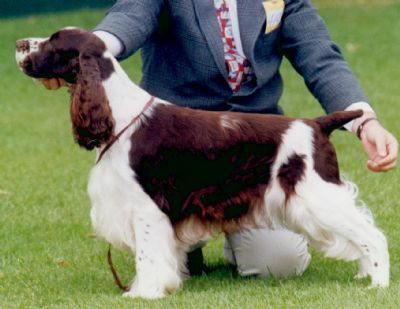 (Ozdog) Top Victorian Springer from the mid 90's until his retirement in 2002. He has left behind a legacy of Champion progeny and many great memories. One of Australia's all time greats.